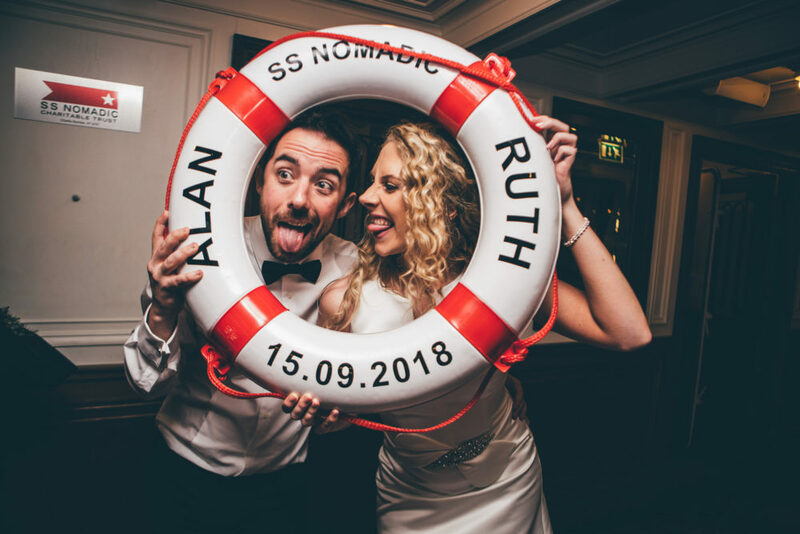 Join us on board the SS Nomadic for a multi-venue nautical wedding that takes us on a wonderful tour of Belfast, before transporting us to sea aboard the boat that tendered the Titanic. Ruth & Alan’s day starts with an intimate church wedding, followed by lunch in the trendy back streets of the city before a big party on the last remaining White Star Line vessel. A vintage Routemaster bus, black tie dress code and retro close harmony trio add to the glamour of this gorgeous day, which includes a bride in pretty Jesus Peiro and bridesmaids in mint green Maids to Measure. M & J Photography always manage to blow my mind they are so spectacular. They capture every last detail, every last emotion and have summed up this destination peach wedding planned by Wed in Italy to perfection. 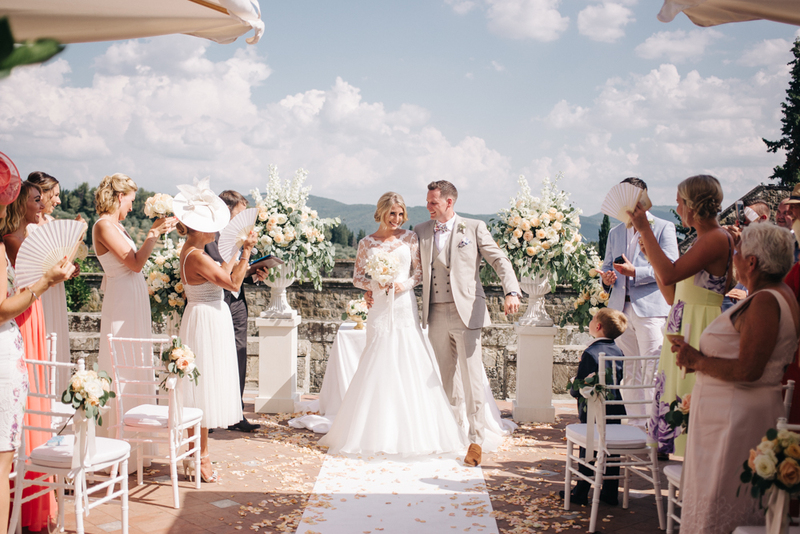 The dreamy Tuscan views at Castello di Vincigliata are enough to make your heart melt, let alone all the gorgeous peach blooms, romantic candle light and elegant reception decor. 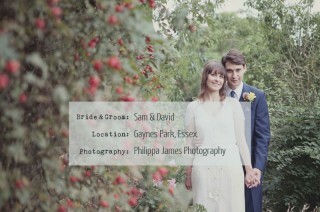 Then there is our gorgeous bride and groom who are not only all dressed up in love but the most fabulous fashion too. 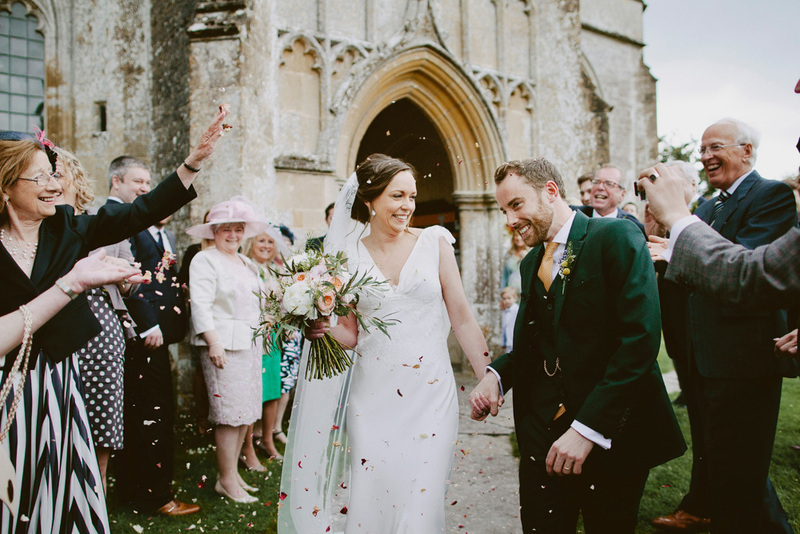 Groom Tom opts for a neutral cool linen suit, whilst Bride Charley looks every bit the princess in an organza Suzanne Neville ‘Victoriana’ gown. Accessorised beautifully with a stunning lace jacket, Christian Louboutin shoes and a Jenny Packham headdress. Some serious Bride goals here ladies. Are you ready? Lets take a look at this breathtaking day. 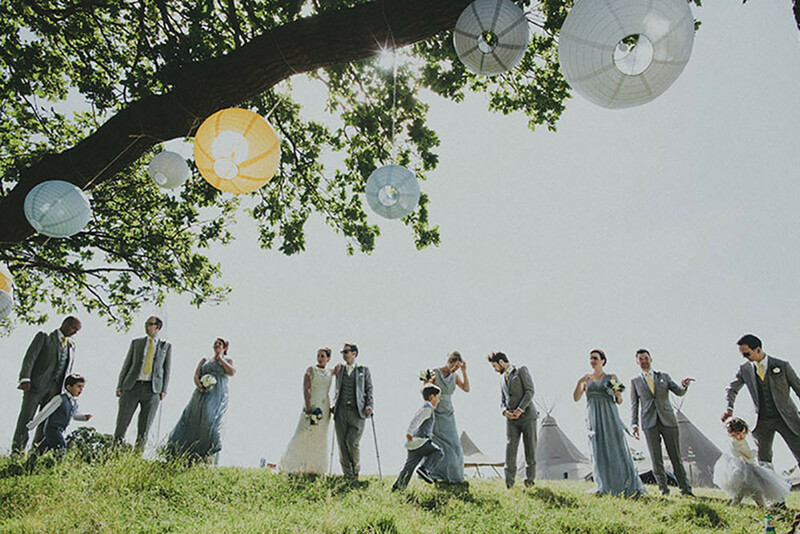 I’m not sure what I would have done if my own husband had broken his leg two weeks before our wedding but Kayleigh and Ian took everything in their stride and actually made Ian’s injury work for them, crutches and all! This morning’s wedding contains perhaps the largest wedding bouquet I have seen. Like EVER. 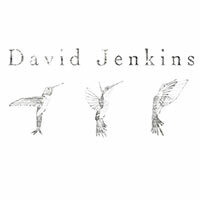 And it is blinking gorgeous to boot, much like bride Sam and her beautifully clad dusky blue maidens also clutching their own daisy bouquets. David’s groomsmen don’t scrub up too badly either in their blue three-piece suits and beaming grins; I particularly love the fact that David has distinguished himself sartorially with a spotted tie. Oh I do love me a bit of polka dot action. 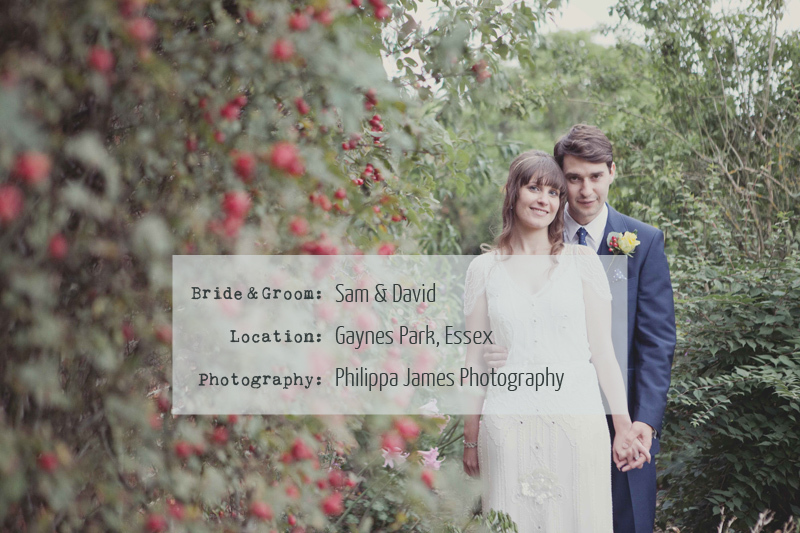 This dazzling pair also had an awesome wedding cake shaped like a tree trunk and emblazoned with their initials surrounded by a heart…just like proper old skool graffiti. Oh and there’s possibly the best group shot of all the men at the very end that I guarantee will make you want to recreate it for yourselves.